This Post has already been read 338 times. 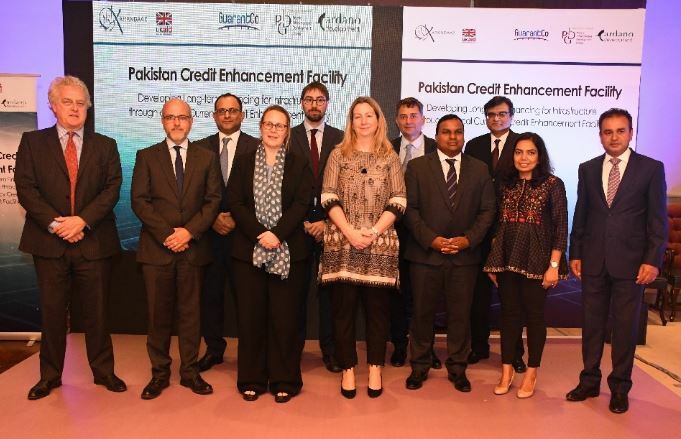 The Pakistan Credit Enhancement Facility (PCEF) was introduced to public and private sector stakeholders in a conference co-hosted by Karandaaz Pakistan and UK’s Department for International Development (DFID) in Islamabad. The local currency credit enhancement facility is being set up to address and overcome existing constraints in the supply of local financing to infrastructure projects and to help the development of the local financial market. DFID is supporting PCEF through GuarantCo, part of the Private Infrastructure Development Group (PIDG). GuarantCo was established to mobilise local currency investment for infrastructure projects and support the development of financial markets in low income countries. GuarantCo is supported by the governments of the UK, Switzerland, Sweden, the Netherlands and Australia and is rated AA- by Fitch and A1 by Moody’s. Cardano Development is acting as an advisor for the establishment of PCEF. Cardano Development is committed to helping frontier economies develop and prosper. Their goal is to address financial and risk-based challenges faced in frontier markets.